At Fresno Chaffee Zoo, inclusion is at the heart of everything we do. We are at our best when we represent and connect to our community. Our goal is to be a Zoo for everyone. In partnership with Pal Experiences, a Phoenix-based non-profit, the Zoo has created free tools to help those with autism and other developmental disabilities enjoy their next visit. The Fresno Chaffee Zoo is the first zoo location in the United States to become a Pal Experiences “Pal Place,” which includes the creation of a video social story showing guests what they can expect during a visit and an interactive digital guide to assist with communication and navigation around the zoo. We invite you to watch the video and review the guide before your visit to know what to expect and get tips on how to plan around sensory sensitivities. We have worked closely with Valley Children’s Healthcare to develop tools to make the Zoo accessible and inclusive for all visitors. Adapted from the successful program at Valley Children’s Healthcare, visitors can choose to wear a George’s Pass sticker during their time at the Zoo. This enables Zoo staff to help ensure these special guests are able to have a positive and successful visit. 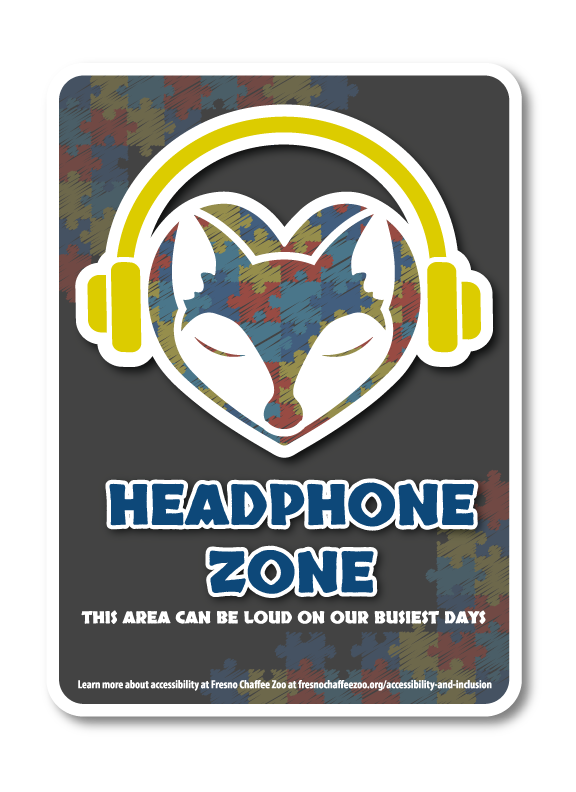 Guests with sensory needs can also check out special backpacks (at no cost by leaving an ID) with sensory tools, a Zoo map showing Headphone Zones and Quiet Zones, and noise-cancelling headphones. 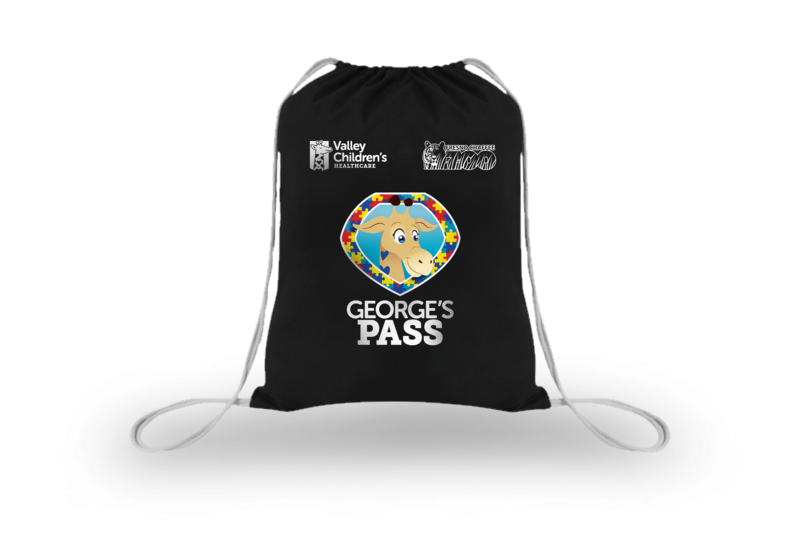 Both George’s Pass and sensory backpacks are available to check-out at the front entrance. 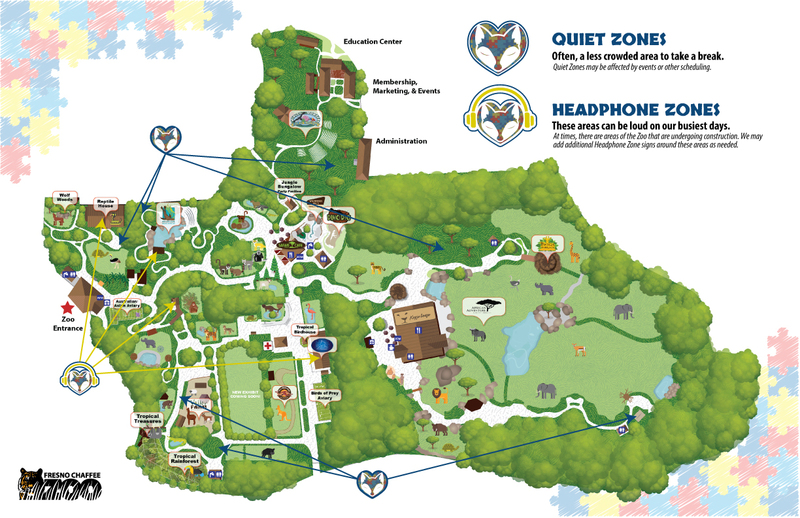 The Zoo offers a sensory map and signage to identify Headphone Zones and Quiet Zones to further help families and individuals have an enjoyable experience on even the busiest days. During a visit to the Zoo, there are some areas that, on our busiest days, can be crowded and loud. It may be best to plan to visit these areas when the Zoo is less crowded or use noise-canceling headphones in these areas. We also have noted Quiet Zones. These are less-crowded areas around the Zoo that can be ideal to take a break, let off some energy, or plan the rest of your visit.